Our latest map of the city of Bayside, incorporating the seaside suburbs southeast of Melbourne, is our best yet. 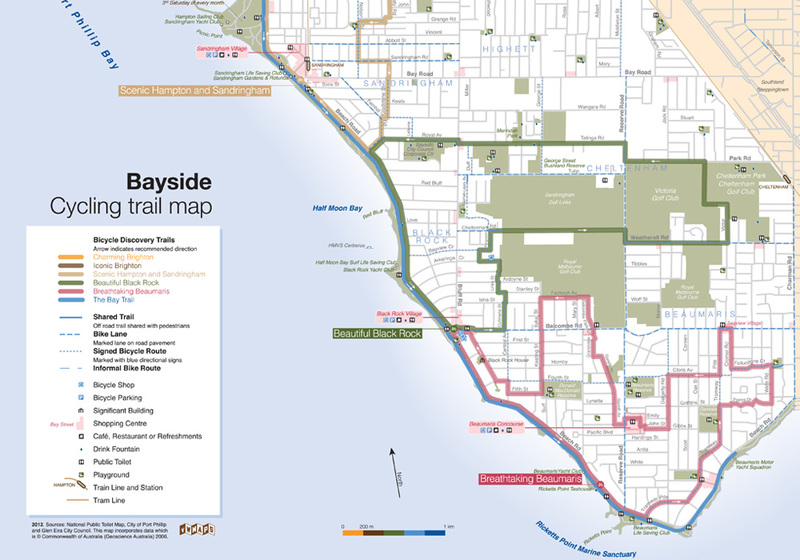 The Bayside Cycling Trail Map shows the on-road and off-road bicycle paths, both signed and informal. 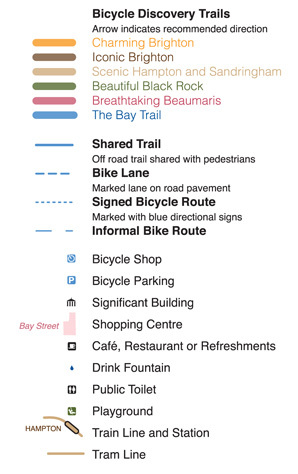 Six suggested recreational trails are featured with text that reveals local attractions and destinations along the way. Playgrounds and parks, historic buildings and tourist destinations are designed to lure weekend visitors while shopping areas, bike shops, public toilets and public transportation amenities keep it practical for locals. 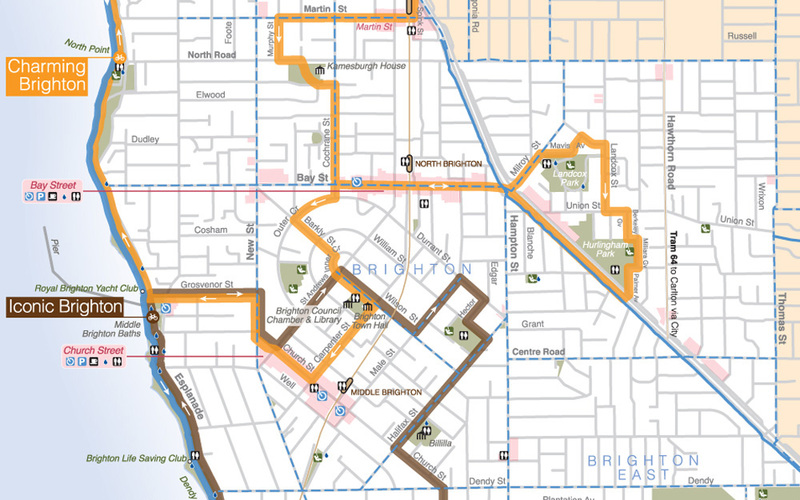 Best of all, the map shows connections through the city and beyond, into neighbouring communities, because everyone who cycles knows it’s great fun to cover lots of ground when exploring the lay of the land. 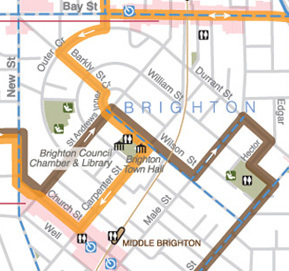 The map is available for free in Bayside bicycle shops, council offices and libraries and from the council’s website. Now available in its second edition at even more bicycle shops.